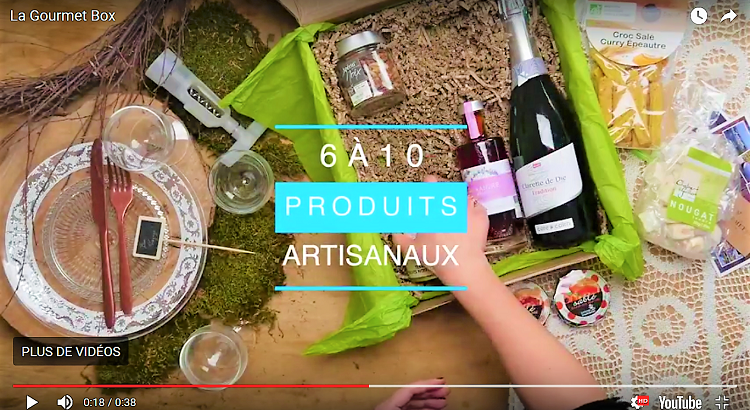 Because we believe that children also have the right to be budding foodies and savour difference, we've created this delicious gourmet box just for them, packed with tasty morsels found in our culinary travels through France. Deliciously old-fashioned but always gourmet, and organic to boot, most of these products are made by superb small-scale artisans. In this box kids will find everything they need to prepare a genuine gourmet meal for their friends, from appetizers to sweet desserts. Our only fear is that the adults won't be able to resist the delicacies in this gourmet box—it's a real challenge, trust us! A scrumptiously fun way to introduce children to the art of French cuisine. Ships to the UK in 2-3 working days and to most European countries in 1-3 days. Artisan: Philippe Bruneton, Les Saisons de Rosalie. 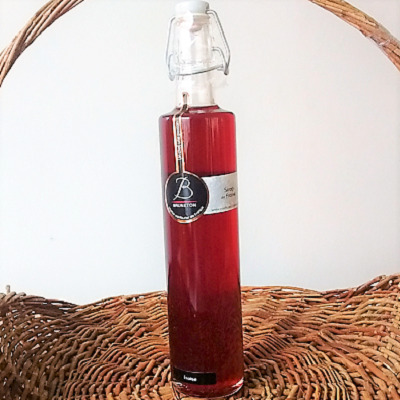 We discovered Philippe (named the best confectioner in France in 2004) and his delicious jams when preparing our Lyon Gourmet Box, and went back for more because he does incredible things with fruit, producing exquisite jams, marmalades and syrups. In France it's typical to give children a glass of water mixed with syrup at snack time. Have you ever tried strawberry syrup? If so, you're in for a surprise, because there's a world of difference between the standard industrial kind you buy in supermarkets and Philippe's artisanal syrups. His product is all-natural: hand-selected strawberries, sugar and lemon juice, with no artificial colouring or preservatives. The only problem is that once you try syrup like this, you'll find it hard to enjoy the store-bought brands. Serve mixed with a glass of cold water, or use it to add colour and flavour to yoghurt, cottage cheese or anything else you can think of! Simply heavenly. No children's party would be complete without crisps, but not just any crisps will do for discerning young gourmands. We made our way to a village called Madic, on the border between the départements of Cantal and Corrèze, where we met an artisan who makes delicious traditional biscuits in bronze moulds. Genuine goat cheese and rosemary is added to the biscuit dough for a truly unique flavour. Regular crisps will lose their charm once your kids bite into these delicious morsels! Artisan: La Réserve de Champlat. 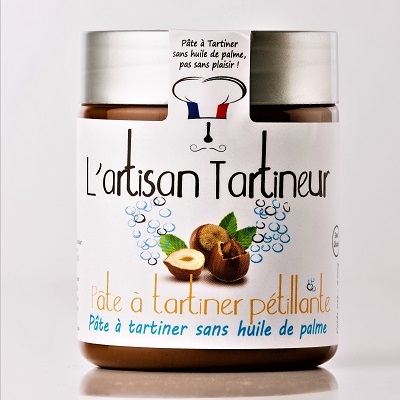 Located in the Gard region of southern France, the Réserve de Champlat is one of the last surviving artisanal family food factories, offering a range of traditional recipes made with mostly French organic products. 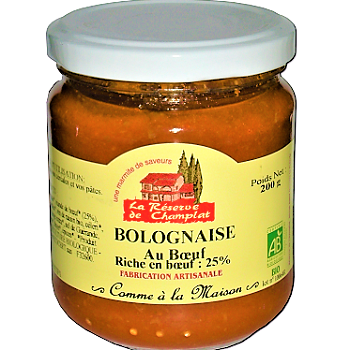 Most children are familiar with spaghetti Bolognese, but this organic sauce raises the bar: our artisans have taken their famous old-fashioned Provençal tomato sauce and added premium ground beef to create a delicious, vitamin-packed ragu. With this sauce, you'll be delighted to serve your kids pasta—or, better yet, have them prepare it! Artisan: Olivier de Girolamo, Ferme de Grandos. The kids will need some premium pasta to go with our lovely Bolognese sauce, and thankfully Olivier is there to provide it. Shortly before his fortieth birthday, Olivier decided to turn the family estate into an ecological farm and grow organic durum wheat to make all-natural artisanal pasta. His products have a fine, unique flavour far superior to that of industrial pasta: in fact, there's simply no comparison! 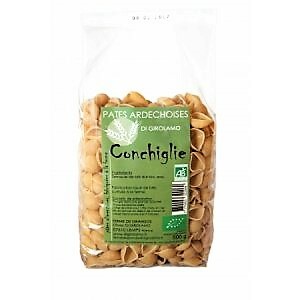 We recommend serving this pasta al dente with the Bolognese sauce or, if your young foodies prefer, with olive oil and freshly grated parmesan cheese. 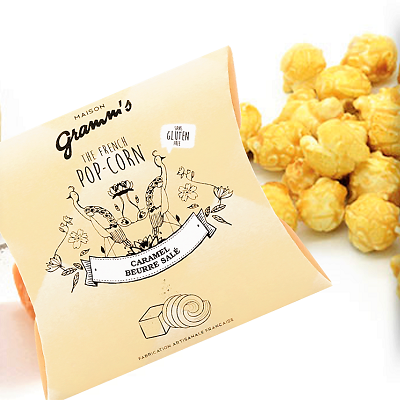 No GMOs, no palm oil, no preservatives, additives or colouring: just the wholesome goodness of gourmet French popcorn made from the finest corn kernels with a delicious salted caramel butter coating. 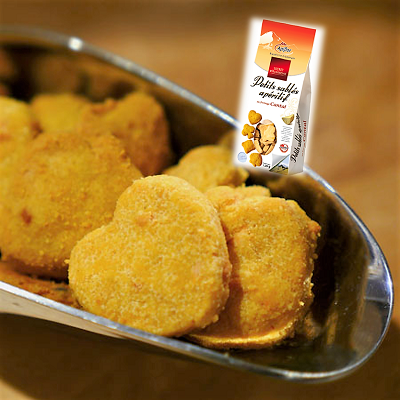 The crunchy caramel, made with AOP butter from the Montaigu dairy, is lightly seasoned with Noirmoutier salt. Bursting with flavour! Cinema popcorn will lose its appeal (sorry parents!). Just remember to leave a few handfuls for your children so they can taste the difference. Little Gourmands, prepare to melt with pleasure! 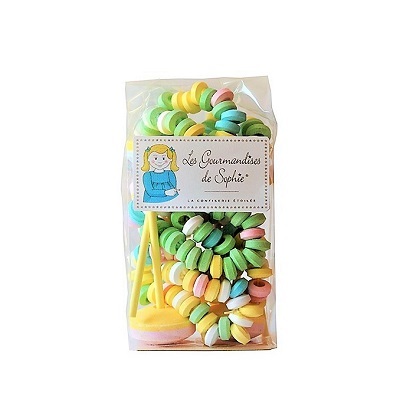 Confectioner: Les Gourmandises de Sophie. These candies were undoubtedly one of your favourite childhood accessories: a necklace that's easy to wear and even easier to eat. And to make it even more fun, we've added some delicious pastel-coloured lollipops that melt in your mouth. A tasty trip down memory lane! Your children will have a blast with these fashionable flavours. Artisanal confectionery: La Maison d’Armorine. 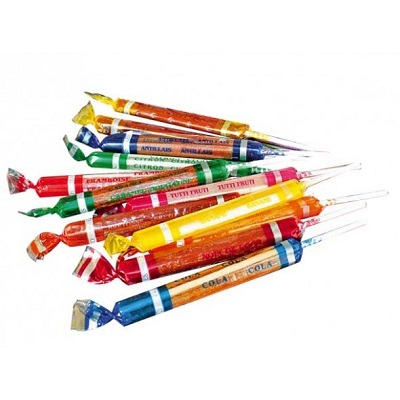 Who doesn't remember the taste of childhood sweets? These iconic lollipops from Brittany (western France) will delight little ones with their fun shapes and fruit and caramel flavours. The Niniche de Quiberon, which won the title of Best Sweet in France, is a type of lollipop made with fruit or caramel. It's long been a favourite with French children. Once your kids try it, they'll understand why! Because our mini-gourmands are born artists, we've included a tube filled with delicious sweet chestnut cream for them to make edible drawings. 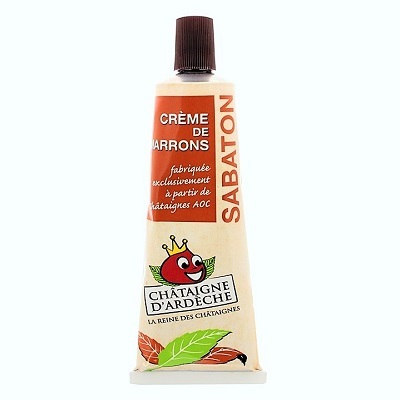 Made exclusively with chestnuts from the Ardèche region, this cream is perfect for letting your little monsters get creative with their breakfast or afternoon snack, use as a spread or drizzle over yoghurt, ice cream or whipped cream. Gourmands of all ages, welcome to the feast! This gift box is not recommended for children under the age of 3. EL regalo que no te puedes perder para tus nietos... Hace ya 3 veces que lo regalo y es un exitazo asegurado la verdad.